In carving pumpkins, my skills are limited. 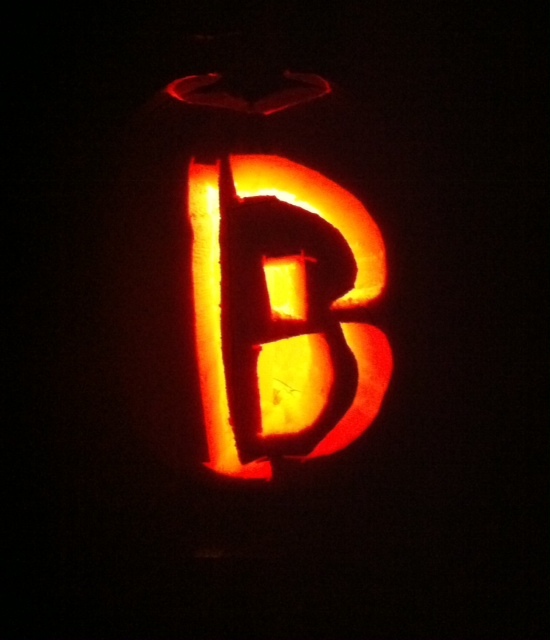 I have a tendency towards self-absorption, too, carving a “B” for “Baumer” into a pumpkin. Unless of course, the “B” stands for “beauty” and then it just means I am always searching for said item. This entry was posted in Minimalist and tagged Halloween 2015, I'd like to add his initial to my monogram, in the eye of the "B" holder. Bookmark the permalink.